In 1920 at the age 17, Nee Shu-tsu was saved while being a high school student. When he felt the Lord call him into His work, he adopted the English name Watchman and the Chinese name To-sheng, which means “the sound of a watchman’s rattle.” Nee saw himself as a watchman raised up to sound out a warning call in the night. Like A.W. Tozer, Charles Spurgeon, and G. Campbell Morgan, Watchman Nee was autodidact (self-taught). Nee didn’t attend theological schools or Bible institutes. His rich knowledge of God’s eternal purpose, Jesus Christ, the Holy Spirit, and the church were acquired through his intense study of Scripture, prayer, and reading the works of others. They also came from his experiences. Nee was a student of Andrew Murray, Jean Guyon, John Bunyan, George Cutting, J.G. Bellett, Charles G. Trumbull, A.B. Simpson, T. Austin-Sparks, George Muller, Jessie Penn-Lewis, Mary McDonough, E.H. Broadbent, Robert Govett, and many others. The core revelation Nee received involved the living of a crucified life and a resurrected life for the body of Christ and God’s eternal purpose. He called living this life a normal Christian life. Watchman Nee taught that believers have been crucified with Christ and that the normal Christian experience involves Christ living in us through our experience of bearing the cross in our practical human situations (Gal. 2:20). Many of the experiences that informed Nee’s understanding of this truth are presented in his groundbreaking book, The Release of the Spirit. Like Bonhoeffer, a contemporary of Nee’s, Watchman Nee saw that the church as the Body of Christ was simply the enlargement, expansion, and expression of the resurrected Christ. Nee’s vision of the church as the Body of Christ in resurrection was advanced. His ministry concerning the crucified and resurrected Christ was a stewardship of grace that ministered the resurrected Christ into the believers for the building up of His Body. His books The Glorious Church and The Normal Christian Church Life are classics. 1) the deeper Christian life for all Christians about deepening the individual spiritual walk. 2) the life and practice of the church. The first ministry of Nee’s is still popular today; the second is still controversial. Nee suffered greatly due to his faithfulness, including rejection, opposition, slander, gossip, and condemnation. But he was willing to pay the price for following the Lord, even to the point of the cost of his life. His profound revelation combined with his sufferings issued in a rich ministry of life. Nee lived a life of suffering. The majority of his sufferings came from five sources: poverty, ill health, denominational opposition, dissenting brothers and sisters in the local churches, and imprisonment. Nee was also frequently afflicted with serious illnesses, including tuberculosis and a chronic stomach disorder as well as angina pectoris, a serious heart ailment. He was never cured of the heart disease; thus, his ministry was sustained by the resurrection life, not by his physical strength. 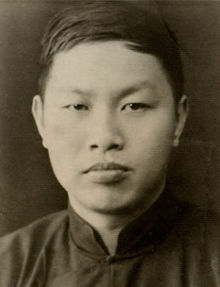 Following the takeover of China by the Communist party, Watchman Nee was arrested in 1952 for the sake of the gospel. He was falsely accused, condemned, judged, and sentenced to fifteen years’ imprisonment in 1956. The story of Nee’s ending on this earth is tragic and heart-breaking. He died in confinement on May 30, 1972. He died in misery and humiliation. Not one relative or brother or sister in the Lord was with him. There was no proper notification of his death and no funeral. He was cremated on June 1, 1972. My granduncle had passed away. He was faithful until death. With a crown stained with blood, he went to be with the Lord. Although God did not fulfill his last wish, to come out alive to join his wife, the Lord prepared something even better—they were reunited before the Lord. While Watchman Nee’s imprisonment confined him, his ministry was not bound (2 Tim. 2:9). Under the Lord’s sovereign hand, Nee’s ministry has spread throughout the entire world as a deep supply of life to all seeking Christians. His ultimate burden was the spread and the building up of the church as the house of God. Although his own earthly tabernacle (physical body) has been taken down, the building of God obtained through his ministry remains and still is growing and spreading throughout the earth. By the time Nee was arrested in 1952, approximately 400 organic churches had been raised up in China from his ministry — indirectly and through his co-workers. In addition, over 30 organic churches were raised up in the Philippines, Singapore, Malaysia, Thailand, and Indonesia. Watchman Nee was a man of revelation and extraordinary gifting, but he was also a man of sorrows and suffering. The experience he gained through his suffering served as an immeasurable help to all those under his ministry and also became a rich heritage to the Body of Christ, a heritage acquired by paying a price, even the ultimate price. Nee began to write and publish at a very early age. In 1923 he began to publish the magazine The Present Testimony, and in 1925 he started another magazine entitled The Christian. In 1938, Nee traveled to Europe and delivered some amazing messages that were later published as The Normal Christian Life. It was then that he met T. Austin-Sparks. In 1948, Nee trained workers. Nee’s views were wholly orthodox. He believed in the verbal inspiration of the Bible and that the Bible is God’s Word. He also believed that God is triune, Father, Son, and Spirit, distinctly three, yet fully one, co-existing and coinhering each other from eternity to eternity. He believed that Jesus Christ is the Son of God, even God Himself, incarnated as a man with both the human life and the divine life, that He died on the cross to accomplish redemption, that he rose bodily from the dead on the third day, that He ascended into heaven and was enthroned, crowned with glory, and made the Lord of all, and that He will return the second time to receive His followers, to save Israel, and to establish His millennial kingdom on the earth. He believed that every person who believes in Jesus Christ will be forgiven by God, washed by His redeeming blood, justified by faith, regenerated by the Holy Spirit, and saved by grace. Such a believer is a child of God and a member of the Body of Christ. He also believed that the destiny of every believer is to be an integral part of the church, which is the Body of Christ and the house of God. Nee shouldn’t be confused with Witness Lee who followed after him. Many who worked closely with Nee believe that Lee departed from Nee’s original vision and even his cautions. My birth was an answer to prayer. My mother was fearful that she would follow her sister-in-law in bearing six daughters, since, according to Chinese custom, boys were preferable to girls. She had already borne two daughters, and although she probably did not fully understand the implications of prayer, she spoke to the Lord and said, “If I should bear a son, I will present him to You.” The Lord heard her prayer, and I was born. My father later told me that before my birth my mother had promised to present me to the Lord. For most people, the prominent feature of their being saved is the act of being delivered from sin. However, for me the question was whether I should accept Jesus and become both His follower and His servant. I was frightened that if I became a Christian, then I would be called upon to serve Christ, and that would be too costly. Eventually the conflict was resolved as I realized that my salvation must have two aspects. I decided to accept Christ as my Savior and to serve Him as my Lord. The year was 1920, when I was seventeen years of age. In the audience today there are at least three former school-mates of mine, among whom Brother Kwang Hsi Weigh can bear testimony both to my bad behavior and excellent academic record at school. On the one hand I frequently broke the school rules while on the other hand my God-given intelligence enabled me to come first in every examination. My essays were often put up for exhibition on the bulletin board. I trusted my judgment implicitly and had many youthful dreams and plans for my career. If I worked hard enough I believed that I could attain any level that I wished. Following my being saved there were many changes and all the planning of over ten years became meaningless, and my cherished ambitions were discarded. From that day, with the undoubted assurance of God’s calling, I knew what my life’s career was to be. I understood that the Lord had brought me to Himself both for my own salvation and for His glory. He had called me to serve Him and be His fellow-worker. Formerly I had despised preachers and preaching because in those days most preachers were the employees of European or American missionaries, having to be servile to them, and earning merely eight or nine silver dollars each month. I had never imagined for a moment that I would become a preacher, a profession which I regarded as trifling and base. After my being saved, while others brought novels to read in class, I brought a Bible to study. Later on I left school to enter the Bible Institute established in Shanghai by Sister Dora Yu. Before very long she politely expelled me from the institute with the explanation that it was inconvenient for me to stay any longer. Because of my gourmet appetite, dilettante dress and tardy arising in the mornings Sister Yu thought fit to send me home. My desire to serve the Lord had been dealt a serious blow. Although I thought my life had been transformed, in fact there remained many more things to be changed. Realizing that I was not yet ready for God’s service, I decided to return to school. My school-mates recognized that some things had altered but that much of my old temperament had remained. Therefore, my testimony in the school was not very powerful, and when I witnessed to Brother Weigh he paid no heed. After becoming a Christian I had spontaneously a desire to bring others to Christ but after a year of witnessing and bearing testimony to my school-mates there was no visible result. I thought that more words and more reasons would be effective but my testimony did not seem to have a powerful effect on others. Some time later I met a Western missionary, Miss Grose, who asked me how many persons had been saved through me during that first year. I bowed my head and shamefully confessed that despite my attempts to preach the gospel to my school-mates no one had responded. She said to me frankly that there was something between the Lord and me hindering my effectiveness. Perhaps it was hidden sin, or debts, or some such matter. I admitted that such things did exist. She asked me if I were willing to settle them straight away. I agreed. Then she asked me how I made my witness and I told her that I chose people at random and spoke to them about the Lord regardless of whether they showed any interest. At this she replied that I ought rather to make a list and pray for my friends first, then wait for God’s opportunity to talk to them. Immediately I started putting right the matters that were hindering my effectiveness, and also made a list of seventy friends to pray for daily. Some days I would pray for them every hour, even in class. When the opportunity came I would try to persuade them to believe in the Lord Jesus. My school-mates often said jokingly, “Mr. Preacher is coming. Let’s listen to his preaching,” although in fact they had no intention of listening. I reported my failure to Sister Grose and she persuaded me to continue praying until some were saved. With the Lord’s grace I continued to pray daily, and after several months all but one of the seventy persons were saved.